OK, all you tweeters. You can relax now. After several days of Twitter users in an uproar over an online report that said the social network was about to change the way its users see their timeline, Twitter laid out its plans. 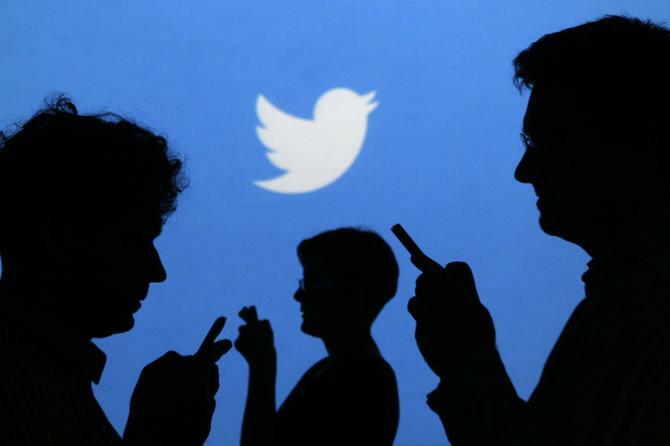 Twitter will start using an algorithm that reorders how users see the tweets in their timeline. Here's what you need to know about Twitter's announcement. Mike Jahr, senior engineering manager at Twitter, said in a blog post Wednesday that the new feature is designed to let users see the tweets that are the most important to them. Instead of having tweets roll through users' timelines in reverse chronological order, Twitter is using a new algorithm to put tweets in order according to how important the company's algorithm the tweets are to users. "Here's how it works," Jahr wrote. "You flip on the feature in your settings; then when you open Twitter after being away for a while, the tweets you're most likely to care about will appear at the top of your timeline – still recent and in reverse chronological order. The rest of the tweets will be displayed right underneath, also in reverse chronological order, as always." According to Twitter, the timeline will function the way it always has unless you switch to the new feature. To try it, go into the timeline section of Settings and turn the feature on by clicking "Show me the best Tweets first." When you open Twitter again, you'll see the tweets that the algorithm has chosen for you as the most interesting. Even if you don't opt in to the new feature, Twitter will turn it on for you "in coming weeks." According to Jahr, users will be able to go into Settings and turn it off and revert back to the traditional reverse chron timeline. "We love it and think you will too," Jahr wrote. "If you don't, send your thoughts our way, and you can easily turn it off." 4. So how will this work? Twitter's algorithm is apt to work much like the one that Facebook has used for quite some time, despite some users' frustration with it. The algorithm is likely built to detect what each user is most interested in. If, for instance, a user follows a lot of chefs, food bloggers and restaurant critics, he's likely to get more food- or restaurant-related tweets at the top of his timeline. The same goes for someone who follows certain political candidates or sports teams. The algorithm will search for a user's preferences and then pull up related tweets that have been popular or highly retweeted. 5. Why is Twitter making this change? Twitter has been under pressure from investors to increase its user base, as well as its revenues. Twitter CEO Jack Dorsey is making changes to meet those goals, and this is one of them. "I think users need to know that there are two ways that they can work with Twitter now, and if they haven't used it for a while, they should come back and try it out," said Patrick Moorhead, an analyst with Moor Insights & Strategy. "I believe many mainstream users, as they started to follow more people, got a little bit overwhelmed and probably left. ... I think this could draw some people back." 6. Who would find this new algorithm helpful? The new timeline feature could be an aid to users who are following topics more than specific people, according to Ezra Gottheil, an analyst with Technology Business Research. "You can use search and hashtags to focus down on a topic, but a lot of the time people just want to see on-topic tweets," Gottheil said. "Many users follow people for their tweets on specific topics and aren't interested in other tweets from the same people… It all depends on implementation, but I think it will make Twitter more relevant, more valuable."